Our Lodge strives to reach out to those in need when we can – and each year we enjoy supporting and participating in events that benefit the Special Olympics Program in our area. 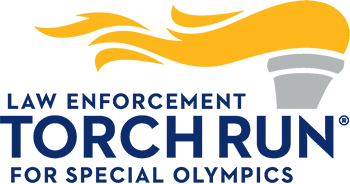 Torch Run® fundraising efforts include the hosting and participation in unique fundraising events such as rooftop sits, polar plunges, and various other outreach events. 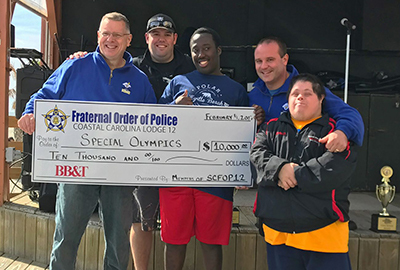 The SCFOP Lodge 12 is proud to help the Special Olympics of South Carolina each year! The program benefits many right here in our community and helps them to celebrate their sportsmanship, teamwork, and lets them know that law enforcement officers are here to kindly serve and protect them. The Special Olympics Program is to benefit special needs children right here in our local community by allowing them to compete in the Horry County Special Olympics Spring Games held at Socastee High School and fund Horry County Special Olympics. Thank You to all Community Members, Companies, and Local Businesses that support Special Olympics Events!